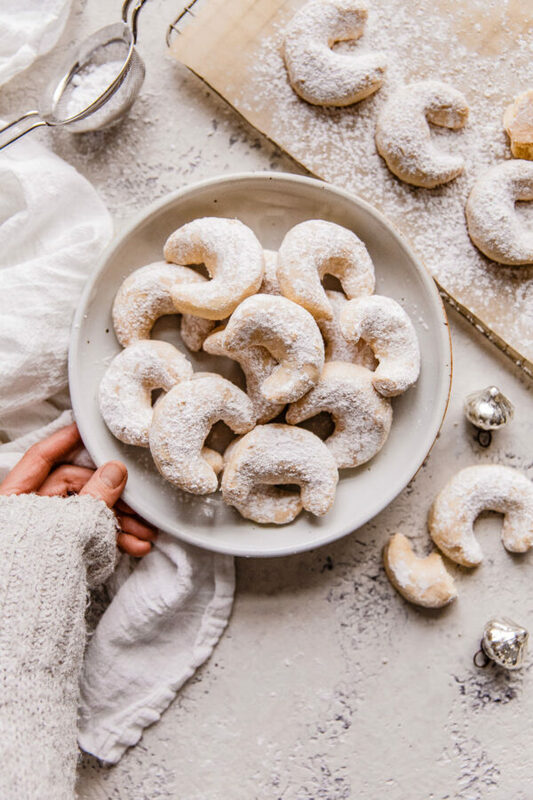 Almond Crescent Cookies – these traditional Austrian kipferl cookies are one of my favorite holiday cookies and take almost no time to prepare! Cookie season has arrived and I’m here for it! Last year I shared my favorite almond sugar cookies with simple icing. While I love baking traditional sugar cookies (and going crazy with the nonpareils) over the holidays, they require a much bigger time investment. 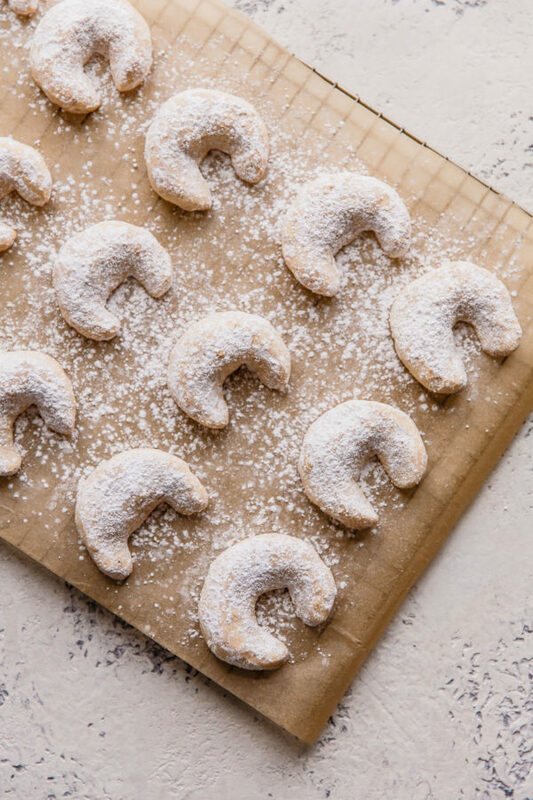 Today’s almond crescent cookies are a fabulous alternative because they are just as elegant, yet so much simpler to prepare. 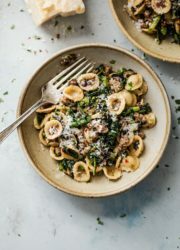 Let’s face it, sometimes we just need quick and easy during the craziness of the holiday season! You’ll need to reserve 30 minutes of chill time. However, you’ll be able to have these cookies prepped, baked, and ready to go in just over an hour. Luckily, we’re not sacrificing any flavor with these cookies. 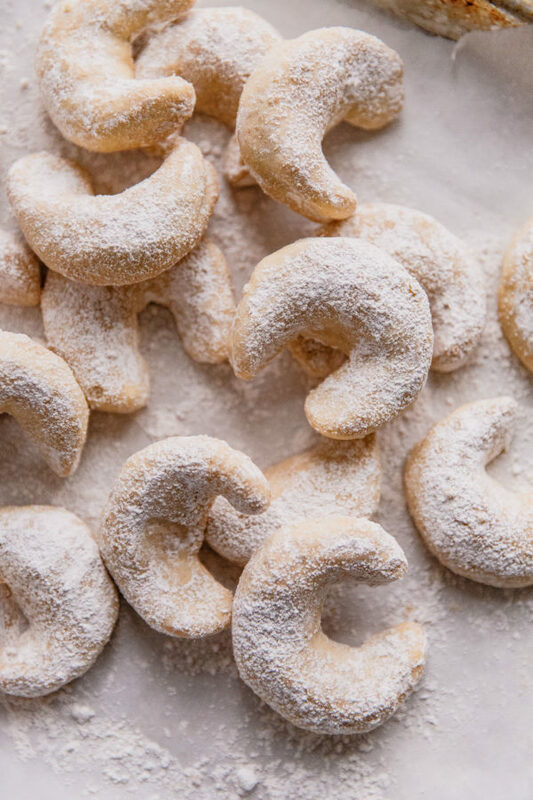 These crescent cookies are crisp, buttery, and quite hard to resist. I learned how to make these traditional Austrian cookies in culinary school years ago and loved them. 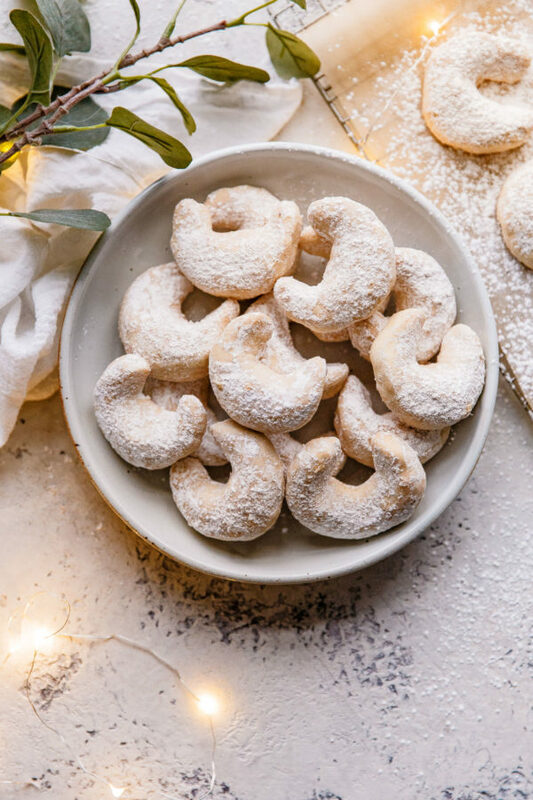 These fun half-moon cookies are classic Christmas cookie originating from Vienna, and often go by the name of kipferl (which translates to crescent or moon) or vanillekipferl (vanilla crescents). 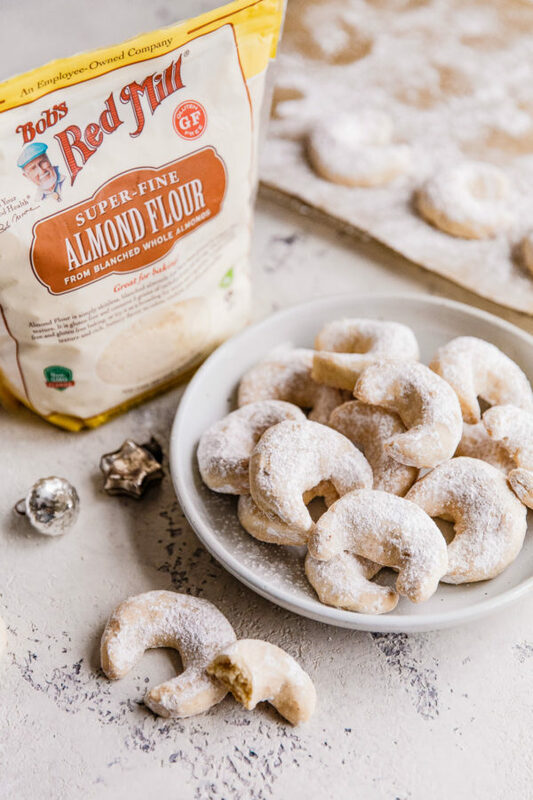 Almond crescent cookies are made from a simple mixture of butter, all-purpose flour, almond flour, powdered sugar, vanilla, and salt. 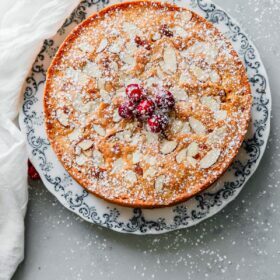 To enhance the natural almond flavor, pure almond extract is included too! 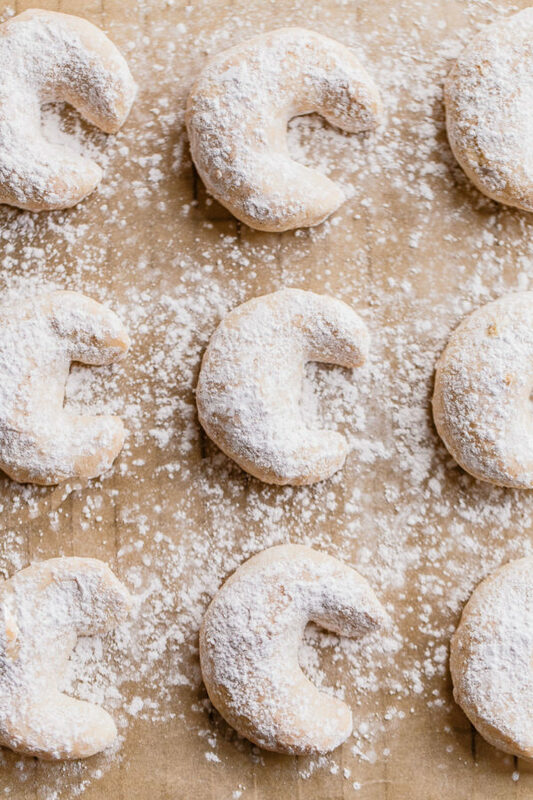 Once baked, the still-warm almond crescent cookies are dipped and coated in powdered sugar. 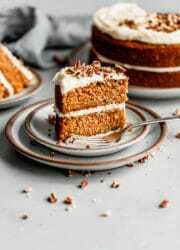 I like to add a touch of ground cinnamon to my powdered sugar, but ground cardamom or other baking spices could easily be substituted. 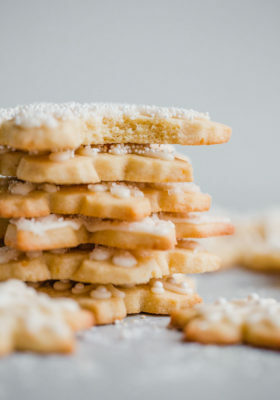 In many ways, these cookies are similar to classic snowball or Mexican wedding cookies! Since these cookies use such few ingredients, it is very important to use those of the highest quality! 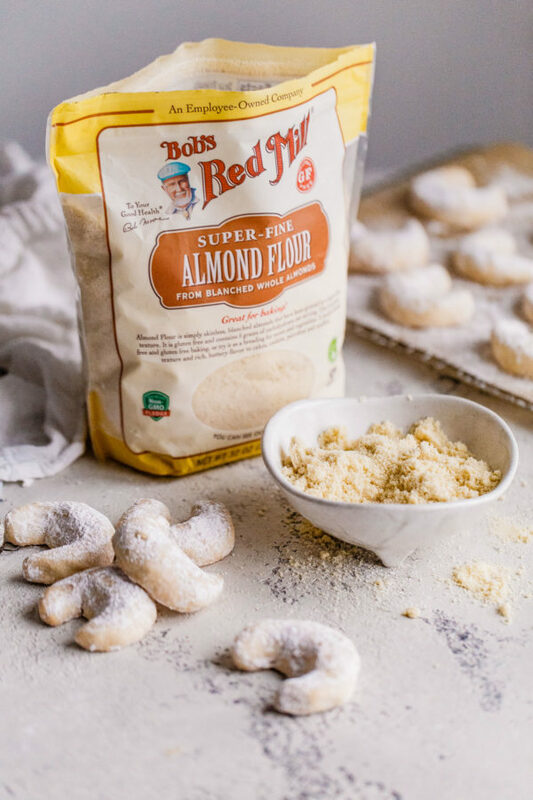 For this recipe, I’ve teamed up with Bob’s Red Mill, who make the best almond flour on the market (including my go-to baking flours and whole grains). 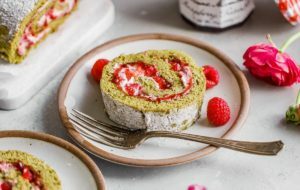 Almond flour is one of my favorite pantry staples, because it lends itself to so many applications: cookies, cakes, doughs, fillings, and so much more. 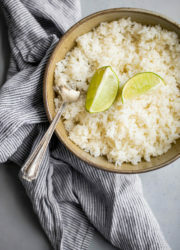 It also adds great texture and flavor! I use it all the time. 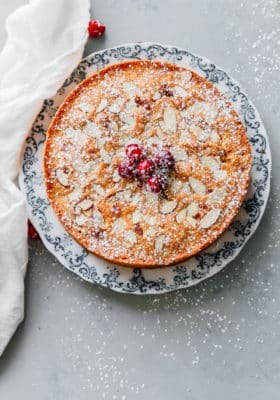 Most recently in this Cranberry Christmas Cake and last month’s Pear Frangipane Tart. 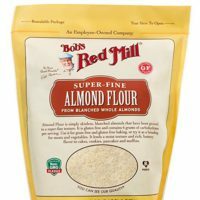 When I’m not baking with it, I store my almond flour in my freezer to prolong its shelf life (just be sure to allow it to come to room temperature before using). 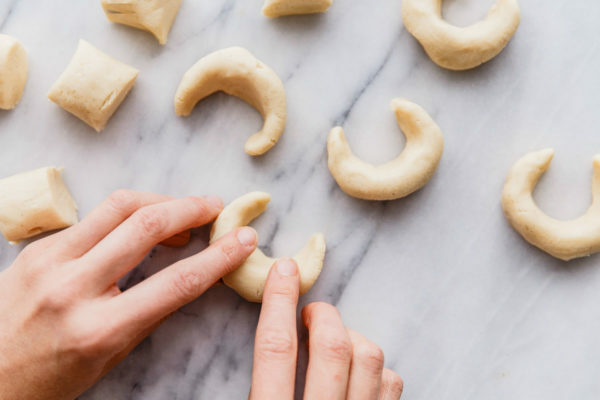 The hardest part of making almond crescent cookies is shaping them into crescents, but it is much easier than it sounds! Luckily, this cookie dough comes together in less than 10 minutes. I recommend using a stand mixer (or hand-held mixer) fitted with a paddle attachment. The dough should be smooth and just barely tacky. 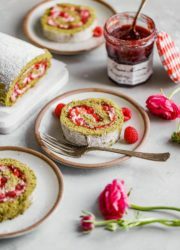 You’ll want to divide it half, then roll each half into a 12-inch log. Cut the log into twelve equal pieces (1-inch wide), then roll each individual piece into a 4-inch log. Gently shape into a half-moon, using your fingertips to taper both ends. They should be slightly thicker in the center. Once the cookies are shaped, you’ll want to chill the dough (prior to baking) in the refrigerator for 20 to 30 minutes. 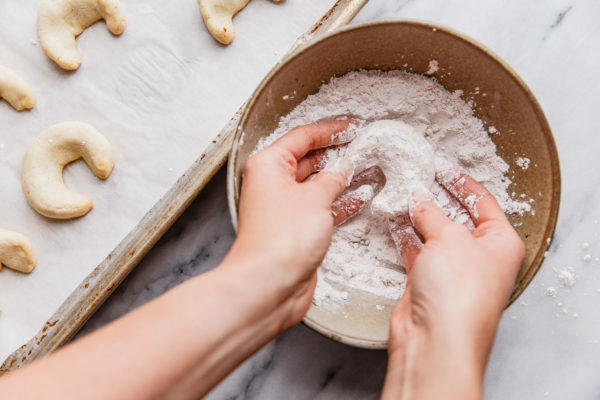 Baking Note: Chilling the dough helps prevent spreading during baking and will maintain the shape of the cookie, so don’t be tempted to skip this step! 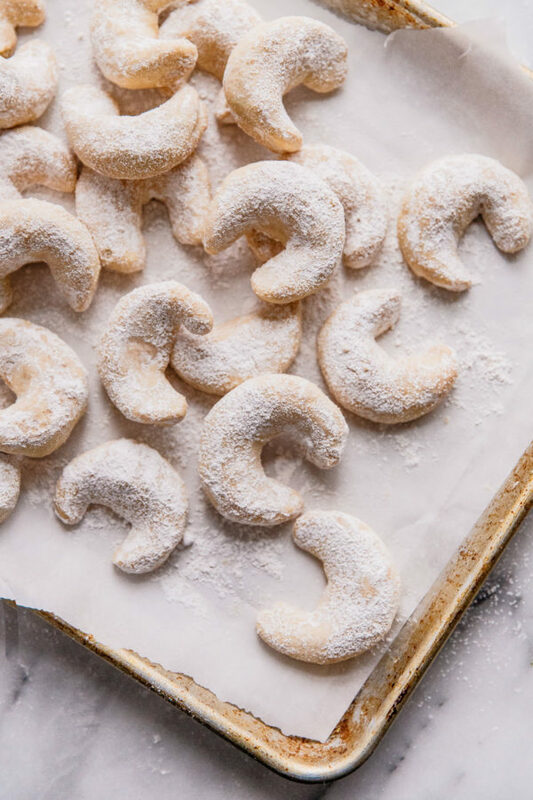 Once the cookies have baked (they should be fairly pale), you’ll want to allow them to cool for a minute or two before rolling in powdered sugar. The cookies should still be warm, otherwise the powdered sugar won’t stick and create a consistent coating. 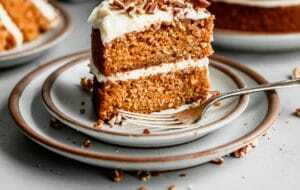 great flavor from almond flour, almond extract, pure vanilla, and just a touch of ground cinnamon! no fancy decorations, piping tips, or fuss required; just a dip and final dusting of powdered sugar! you can adapt these cookies in any number of ways: citrus zest, extracts, or other spices! 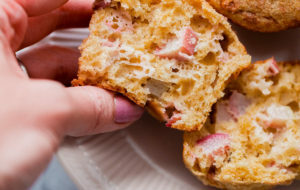 You could even drizzle them with chocolate. Did I mention that these cookies make an excellent edible holiday gift? Happy baking friends! 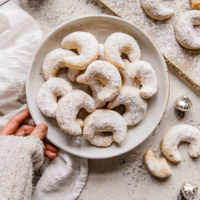 Made with just butter, all purpose flour, almond flour, powdered sugar, salt, vanilla extract, and almond extract, these traditional almond crescent cookies (Austrian kipferl cookies) are easy to prepare and one of my all-time favorite holiday cookies! 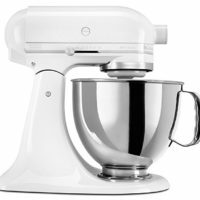 Combine all of the cookie dough ingredients in the bowl of a stand mixer fitted with a paddle attachment. Slowly combine over low speed, gradually increasing to medium speed, until the mixture comes together and forms a dough. It will be fairly crumbly and dry at first, but will become smooth as it mixes. 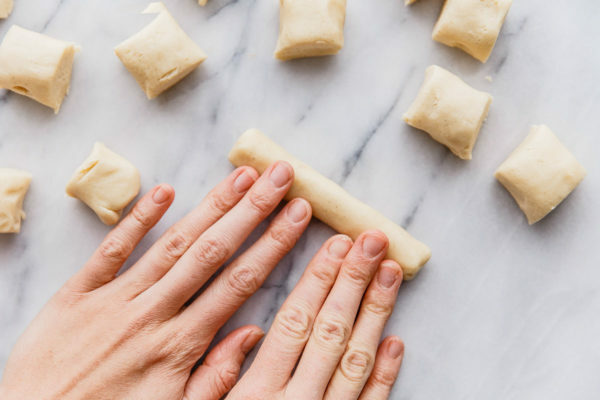 Bring the dough together with your hands. Divide in half. 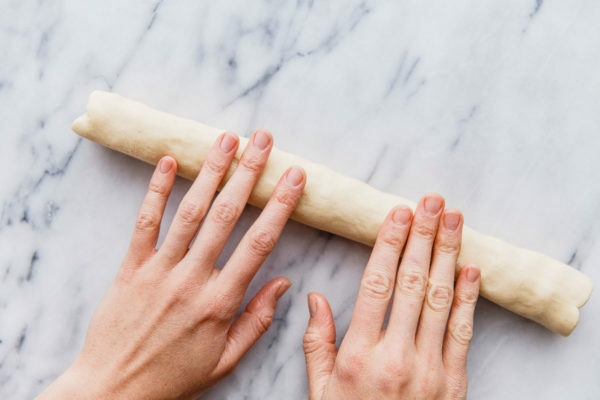 Working with one dough half at a time, roll the dough into a roughly 1-inch wide log. 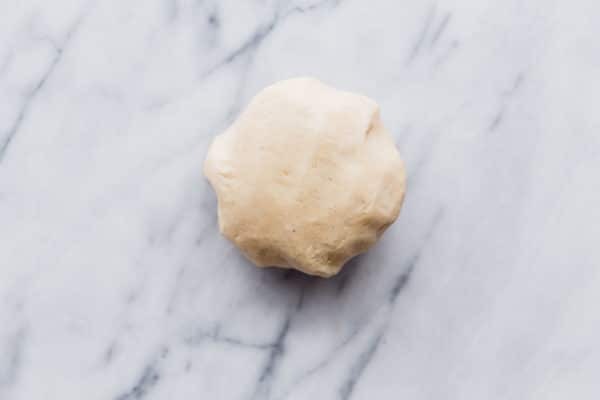 Use a knife to divide the dough into 12 equal-sized pieces (roughly 1-inch x 1-inch in size). Roll each piece into a 4-inch log, then shape into a crescent moon shape, slightly tapered at each end. 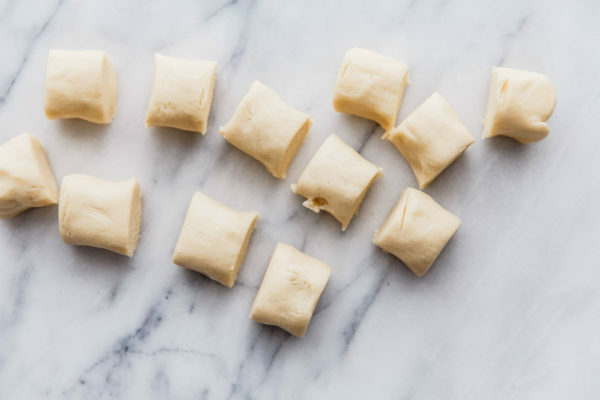 Transfer the shaped cookies to a parchment lined sheet pan (or other flat surface temporarily, if one will not fit in your refrigerator), setting them apart by an inch. 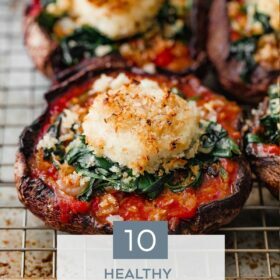 Chill in the refrigerator for 20 to 30 minutes or until firm. Meanwhile, preheat the oven to 350 degrees Fahrenheit (175 C) with a rack in the center position. Bake the cookies for 15 to 20 minutes, or until the edges are just beginning to turn golden. The bottoms of the cookies should be golden brown, but they will be mostly pale in color. Allow the cookies to cool on the sheet pan on a cooling rack for 5 to 7 minutes. Meanwhile, combine the sifted powdered sugar and cinnamon in a medium bowl. Gently roll the still warm cookies in the powdered sugar mixture. Transfer the cookies to a cooling rack and allow them to cool completely. Once the cookies have cooled completely, use a fine-meshed sieve to dust the cookies with the remaining powdered sugar mixture. Store cookies in an airtight container, between sheets of wax paper, at room temperature for up to a week or longer. 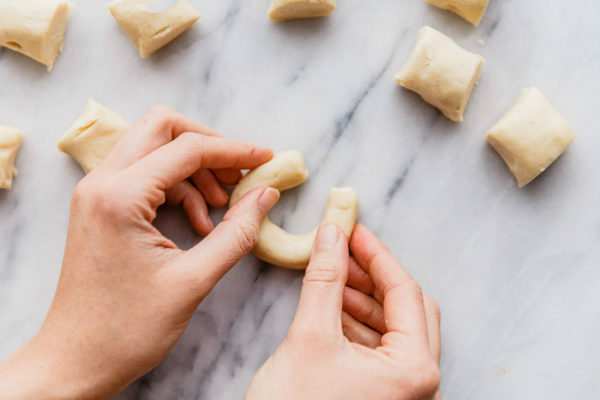 chilling the shaped cookies prior to baking helps prevent spreading during baking and will maintain the shape of the cookie, so don’t be tempted to skip this step! These look like the perfect Christmas cookie! It definitely deserves a place on the cookie plate! These are some of the most delicious cookies I have ever tasted. 100% recommend.